This is just one high profile case of fraud with many more littering the business landscape and causing untold damage. â€œThis is an ever increasing problem,â€� according to Simon Scales, Director, Global Investigations, TNT Express, UK. Scales is chairing the marcus evans Forensic Investigation and Fraud Prevention Conference taking place on 18-19 April in Kuala Lumpur. 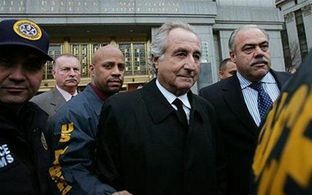 â€œMadoffâ€™s Ponzi scheme was very clever but he got caught out. However, there are many who havenâ€™t been brought to book because it is not in the public interest. There has been a wide variety of hallmark corruption cases. Whether small, medium or large multi-nationals, the propensity for people to commit fraud either internally or externally is something we see on an hourly, weekly, monthly, yearly basis. The wealth of legislation thatâ€™s being created to deal with fraud, bribery and corruption is a response to the ever increasing problems we see,â€� he said. With the economic crisis bearing down on businesses and individuals, this has compounded the problem as all the constituent elements for opportunity, rationalisation and motivation exists now where perhaps they wouldnâ€™t have in an economy offering gainful employment, Scales explains. Although it is being seen across the board, technology is making fraud easier, according to Scales. There is no industry that is immune to fraud activity, he says. â€œThere is not a sector that isnâ€™t touched by this. From retail to sports and financial to government institutions are all implicated. Where the avenue of opportunity exists, people will exploit it. People can decide what is right or wrong but unfortunately too many people are going the wrong way, he adds. The marcus evans Forensic Investigation and Fraud Prevention Conference will take place on 18-19 April in Kuala Lumpur.